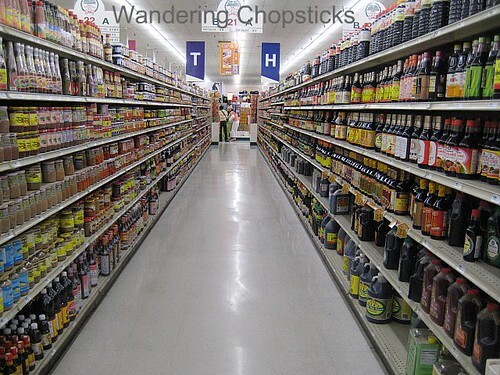 If you're fortunate, you may be faced with an aisle like this in which to choose your fish and soy sauces. Fish sauces on the left, soy sauces on the right. With such varied selection, how do you know which one to pick and what it will taste like? Fish sauce is a part of many Southeast Asian cuisines including Vietnamese nuoc mam, Filipino patis, Korean aek jeot, and Thai nam pla. There's also non-liquid versions of fish and shrimp pastes such as Vietnamese mam ruoc, Cambodian prahok, Filipino bagoong, and Malaysian belacan. But for the purposes of this post, I'm only going to discuss the liquid version of fish sauce in general, and Vietnamese fish sauce in particular. In "Salt: A World History," Mark Kurlansky says the invention of fish sauce is believed to have occurred independently in Europe and Asia. In Europe, the Romans had four classes of fish sauce - garum, liquamen, allec, and muria. While the exact meanings of each class has been lost in time, garum and liquamen became generic terms for fermented fish sauce. Fish scraps were placed in earthen jars, layered with salt, and weighted to draw out the moisture from the fish. The oldest Roman cookbook in existence, "De Re Coquinaria," compiled by Apicius provided more recipes with garum than with salt. A few drops of garum were added to meat, fish, vegetable, and even fruit dishes. In Asia, fish sauce is believed to have been invented by the Vietnamese. Although, the method may have been borrowed from the Chinese soy sauce, which in ancient times used fermented fish with soy beans. Unlike the Roman garum, which fell out of use, Vietnamese nuoc mam remains a vital part of the cuisine today. When the French entered Vietnam, they were horrified to discover that the Vietnamese ate "rotten fish." Nonetheless, the Institut Pasteur in Paris spent 16 years studying nuoc mam, from 1914 to 1930, to figure out the fermentation process. They discovered that the fish were of the Clupeidae family, which contain herring and sardines. The fish were salted and left for three days to extract juices. Some of the juice was saved and left to ferment in the sun, while the rest of the juice was pressed with the fish. The two juices were mixed together and left to ferment for three months or longer. Solid parts were strained out. And that was all Kurlansky had to say about nuoc mam before he continued his discussion of garum. Aside from the horridly mangled accents for nuoc mam, Kurlansky also didn't include anchovies as the fish of choice. Although, I wonder what Kurlansky would have said if he devoted equal space to studying all the gradations of fish sauce in Vietnam. And how nuoc mam differed in other countries. Nuoc, the Vietnamese word for water also means nation. Mam means paste or sauce. Could I argue that nuoc mam can also mean "national sauce"? Because certainly, it's a vital part of Vietnamese cuisine. Not all fish sauces are the same. While I've tried some brands of Filipino and Thai fish sauces, I found the flavors too harsh, too salty, with little nuance. Of course, this is mainly because I cook Vietnamese food, the fish sauces I use are geared toward Vietnamese dishes. So I'll leave the discussion of which brands of fish sauce to use for other cuisines to my blogging friends who do a much better job of cooking those cuisines. For the Vietnamese kitchen in general, and my kitchen in particular, these are my preferred brands. For a long time, the most common brands of fish sauce that were available were Thai. I grew up on the Thai Squid Brand Fish Sauce. It's not nearly as salty as Tiparos, another popular Thai fish sauce. It's commonly stocked at American grocery stores, and in a moment of laziness when I ran out and because I didn't want to make a separate trip to the Asian grocery store, I bought a bottle. It was perfectly OK, and I used it mainly to season large pots of soup. So if you don't have much of a choice of fish sauce in your area, I'd recommend Squid. But these days, since Vietnamese brands of fish sauce are available, I'd much rather recommend Viet Huong's brands of Flying Lion Phu Quoc and Three Crabs nuoc mam. (Though the labels might say processed in Thailand, these are purely Vietnamese fish sauces. I think this was before normalization of relations so it needed to have a non-Vietnamese label in order to be imported into the US?) Phu Quoc, the island off the southernmost tip of Vietnam, is famed for their nuoc mam. So much so that other brands might slap on the words Phu Quoc in order to mislead. Also, look for the words nuoc mam nhi (which you can see above the Viet Huong label on the Three Crabs bottle). This means it is from the first extraction, rather similar to the "cold-pressed extra virgin" label on a bottle of olive oil. Although the nuoc mam will darken with time after being opened, you want to look for a light amber color when you purchase it. It's perfectly fine to store nuoc mam at room temperature. So what do they taste like? Nuoc mam hits the fifth taste bud, umami, a savoriness if you will. It's more than just salty. Squid is the saltiest of the three, followed by Flying Lion Phu Quoc, and then Three Crabs. I reserve Squid and Flying Lion Phu Quoc for seasoning soups and cooking. Three Crabs is more nuanced, with slightly sweeter undertones, as it's made from the first extraction. I reserve Three Crabs for use in Vietnamese dipping sauces, where the taste of the fish sauce won't overpower. Make sure it's Three Crabs brand, there's copycat one and two crabs brands too. I admit, my preference for Three Crabs is because that's what my ba noi (Vietnamese paternal grandmother) taught me. Also, because I don't have time to try every single brand on the market. I stick with what's tried and true. Like Burgundy wine, which can only be called such if it is produced in Burgundy, France, make sure your fish sauce was processed in Phu Quoc, Vietnam. I've heard the coastal town of Phan Thiet also makes good fish sauces, but haven't tried any of those. 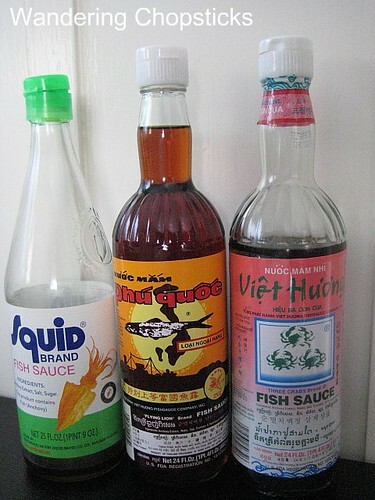 And for my non-Vietnamese food bloggers and readers, what brands of fish sauce do you prefer for cooking your cuisine? My recipe for basic nuoc mam cham (Vietnamese fish dipping sauce). 1 year ago today, Carne Asada (Mexican Grilled Meat) and Ga Nuong Xa (Vietnamese Grilled Chicken with Lemongrass) for a Memorial Day barbecue. I love fish sauce, a dash or two makes a big difference to my dishes. But i usually go for Thai fish sauce which i get my supply from Thailand as those in the supermarket here are made locally and very salty. P.S I did not get your earlier comments on pig ear biscuits. Still, better late than never! I went to the small Asian market in Shreveport, and looked for 10 minutes at their choices of fish sauce...I did remember reading (either here or at nikkipolani's blog) to make sure it said nuoc mam on the bottle, so I did that - lo and behold, I bought the Flying Lion one you have pictured here! Yay! I use the Squid brand mostly. I'm so glad you posted something along these lines. I've always tried to explain that fish and soy sauces are not created equal. I prefer to use Thai oyster sauce in my stir fries, but it's usually Lee Kum Kee (Chinese brand) that's available in stores. I also prefer to use Thai soy sauces, but Kikkoman is probably what most people would pick up. And that's fine but people have to realize that it will affect the overall result. I have a Filipino brand in my cupboard that I forget the name of, and I have Tiparos as well. I mostly use tiparos because that's what my mom uses, but I've never really paid much attention to the differences in flavors. Yey!!! finally the fish sauce post!! thank you. I started with Tiparos and Three Crabs, since that is what we used in the restaurant. I changed to the Flying Lion Phu Quoc on my present bottle, but I think I prefer the Three Crabs for the reasons you listed. I always use the Squid brand. When I told the hubby how fish sauce is made he was a bit put off but I still put fish in the food without him knowing anyway. Now he even cooks with fish sauce. ha. I've tried nuoc mam nhi Viet Huong but it's a bit sweet for my liking. That aisle a great sight.. I'm jealous. It's really amazing how very different all the fish sauces vary isn't it? Usually I use VNese versions b/c that's what I have on hand, but I do know that if I cooked Thai food, it'd be more authentic if I used Thai versions. But we all can't afford to stock every variety for the occasional other cuisine. I think we're all creatures of habit, I use Three Crabs b/c that's why my grandma used. It's hard to argue with mom or grandma! Try the Flying Lion brand. Not nearly as salty as Squid, but not as sweet as Three Crabs. That's what I cook with. Hush! I don't want my blog getting protested! For the record, I hate HCM! No politics! Talk about food! Yeah, it all depends on personal tastebuds. Thanks so much for this post with your recommendations on fish sauce - I was going to try your Vietnamese braised pork chops next week and was wondering what brand of fish sauce to get - we don't cook with it much in Chinese cooking. Yup, if you plan to cook my recipes, use my preferred brand of fish sauce for similar results. Not all fish sauces are the same. I noticed that even the Phu Qouc brand is from Thailand. I now that the best is suppose to be made there, on that Island, which is Vietnam I beleive. Are they using Thailand just because itemts didn't come from Vietnam to the USA until recently. As I already said in my post, "(Though the labels might say processed in Thailand, these are purely Vietnamese fish sauces. I think this was before normalization of relations so it needed to have a non-Vietnamese label in order to be imported into the US?)" I notice that some brands have sugar added while others do not. I always buy one without sugar because I figure it would be more authentic. Is this true? I was also wondering if some kinds can be used without cooking, like in a dipping sauce?...I know that filipinos always heat the fish sauce before using so I assumed they all needed to be cooked first. It's a matter of personal preference. Some fish sauces taste sweeter than others. Three Crabs is definitely sweeter than Squid brand. However, there are ready-made dipping sauces with the sugar added. And you'll want to add sugar to make the dipping sauces at home too. But it's not necessary to heat the fish sauce, I only do that to evenly dissolve the sugar. thank you for sharing this valuable info on fish sauce... it is very frustrating not knowing which one to buy at the market. i bought the 3 crabs today looking forward to try it soon. It's still really a matter of personal preference. Just experiment and see which one suits your tastebuds. I was looking at fish sauce yesterday for the first time with some friends, and jokingly picked up "two crabs" because it was the average of "one" and "three crab" on either side of it... have I made a horrible mistake, or is it still usable? it smelled pretty strange when I opened it, but having never used fish sauce straight before, I have no idea what to expect. Should I just abandon it and go back for a reputable brand? It's probably still usable. Taste it and see if you like it. Or buy Three Crabs and compare. A bottle of fish sauce is only a few bucks. And really, it's all a matter of personal preference. Three Crabs all the way for me! Haven't always been able to get it in the different places I have lived, but love it enough to have brought it in a well-wrapped package in my luggage. Risk-taker, eh? I tried nuoc mam that was even more refined and nuanced in Phu Quoc (and so remarkably tasty you could sample it pure by the teaspoon), but by then I was so weighed down with other things I'd gotten that I decided not to buy. Oh, regret. 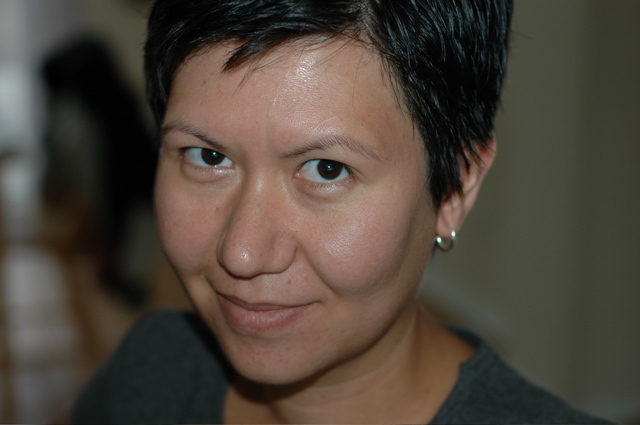 Bravo on your spirited and well-explained defense of nuoc mam. Ii is addictive--the connection with umami is spot-on. don't you find it funny that the phu quoc fish sauce says that it was made in thailand in small print? I don't what to make of it. What if it broke? Eeek! Vietnam Airlines outlawed it from their flights because of those fears. I want to go to Phu Quoc and visit a nuoc mam factory and try how refined it could really be! As I already said in my post, "Though the labels might say processed in Thailand, these are purely Vietnamese fish sauces. I think this was before normalization of relations so it needed to have a non-Vietnamese label in order to be imported into the US?" "Though the labels might say processed in Thailand, these are purely Vietnamese fish sauces. I think this was before normalization of relations so it needed to have a non-Vietnamese label in order to be imported into the US?" How do you know this!? Unless you work for these fish sauce companies and have inside information (which you clearly don't), then I would suggest you get your facts straight before making such statements. These "Vietnamese" fish sauce companies that have their sauce processed in Thailand are in fact Thai fish sauce companies. After the Vietnam War, the USA placed an embargo on Vietnam. Knowing that Phu Quoc is renown for their fish sauce, the Thai fish sauce industry took advantage of this, and exploited the "Phu Quoc" name by placing it on their products when it clearly wasn't produced from there. France and the EU took notice of this, and passed laws in order to protect the Vietnamese fish sauce industry and the Phu Quoc name. BTW - Viet Huong, although widely available, has got to be one of the worse fish sauce out there. They claim to be first extract, but clearly the rest of the ingredients speak for itself. The stuff is diluted with water, preservatives, and fructose syrup! Just like fine wine, why would you want to dilute your fish sauce with such junk, especially if you're claiming to have the "first extract". Do you have any proof of the opposite? Because then clearly you shouldn't go around attacking people when you don't have anything to back up your statements. As for which fish sauce brands people prefer, that's personal taste. Arguing for fish sauce to be like wine is silly since we don't drink pure fish sauce. It's also diluted when made into dipping sauces with water and vinegar and sugar anyway. "Some fish sauce that is made in other countries is labeled with Vietnamese locations and the abuse of notoriety of the products quality with inferior products. Many trade information found on the import and export of fish sauce points to Thailand as the fish sauce producer but when carefully examining the items one can see that the label is littered with Vietnamese names and writing. In a very small print one can barely identify Thailand as the producing country. Thailand labeling has also opted to calling their sauce, nuoc mam, rather than in the native Thai, nam pla. This misdirection of information has lead people to believe they are buying authentic Vietnamese fish sauce but are getting imitations." This source was taken from the American University in Washington DC. The author is a scholar doing a case study on Vietnam and its entrance in the WTO. Of course nobody drinks pure fish sauce, the wine example was an analogy. A lot of people mix balsamic vinegar with their olive oil, It wouldn't make it right if those companies started mixing balsamic vinegar with olive oil, now would it? Consumers will mix (or "dilute") whatever they want as the recipe calls for it (or not), that's THEIR CHOICE. By diluting fish sauce with sugar, and calling it a "first extract" and then marketing it as such is very misleading. Ingredients: anchovy extract, water, salt, fructose & hydrolyzed wheat protein. is there a name w2ith more authentic ingrediants the wheat protien and corn syrup seem awfully modern and western any names and places to buy the real thing? There is actually authentic fish sauce from Phu Quoc you can get here in the US. I've never seen this brand in stores before, but was recommended by friends. I assume you're referring to this http://www1.american.edu/ted/vietnam-fish-sauce.htm American University article about fish sauce. It reads like an undergraduate research paper based solely upon Googling. A real "scholar" would have conducted independent research and would have relied upon more than online sources, outdated links, Wikipedia (which is fine for blogs or quick quotations, but not acceptable for an actual research paper and definitely not worthy of being labeled "scholarly"), and VN-Style (fine for cultural reference but also not worthy of a real "scholar"). The paper itself is riddled with grammatical errors, word usage errors, quotes without citations, and personal anecdotes -- all major red flags that would automatically disqualify it from being labeled "scholarly." It's not a bad premise, just not researched, conducted, or written with enough intellectual examination. The two brands that she says are from Phu Quoc, I can't find in the grocery store at all to test if they're superior in quality to Viet Huong. "Le Chung, whose Viet Huong Fish Sauce Co. in San Francisco distributes the Three Crabs brand, says that his company has been unable to find Vietnamese fish sauce suitable to export. A skeptic, especially one who has sampled Vietnam's perfectly tasty fish sauce on its home turf, might suspect that the problem is due to price or logistics rather than quality. Charles Phan, the Vietnamese-born chef-owner of Slanted Door in San Francisco, says that Vietnamese nuoc mam is more fragrant and less salty than the Thai brands sold here, but it oxidizes quickly. The bottles he has brought back from Vietnam have turned dark and changed character rapidly." That I can believe. There is little regulation in Vietnam so quality and preservation of food have not been standardized. Just think of the scandal years back when they found formaldehyde was used to preserve food in Hanoi pho shops. That's why Viet Huong takes the raw ingredients from Thailand, processes it in Hong Kong, and finishes it off in America. I'm not championing anyone, just explaining that's why the company goes through so many steps before marketing their product. Because Vietnam was out of the global market place for so long after the Vietnam War ended, it lost a leg in the race to Thailand. So the fish sauce is either from Thailand or as some say, perhaps Phu Quoc but disguised during that time period because of the trade embargo. Products from Vietnam did get out, so it's not entirely beyond the realm of reason. I'd like to see a real scholar research this very thing. I liken the fervent protection for the Phu Quoc trademark to burgundy. Burgundy is a region of France, but it is also a type of grape. Why is France so intent on protecting the designation of the name? Because they face serious competition from California of drinkable, more affordable wine. It's not just a matter of quality or region, but economics. I think a better comparison might be to Huy Fong Foods, Inc.'s Sriracha Tuong Ot. A Thai recipe, altered by a Chinese-Vietnamese-American using American red jalapenos. Is it still Thai? No. And not strictly Vietnamese either. Viet Huong and Huy Fong's Sriracha represent the best of Chinese-Vietnamese-American ingenuity to me. Taking a traditional formula, re-inventing it for a modern marketplace, and succeeding. You can argue semantics all you want, but there's no disputing that Viet Huong is a very popular brand of fish sauce that many Vietnamese have in their kitchens. And the company is owned by a Chinese-Vietnamese-American, which makes it Vietnamese enough for me. You can use the Squid brand fish sauce I posted about. The ingredients are just anchovy extract, salt, and sugar. I've never heard of that brand, but $15! Egads! Too expensive for me. My recommendations come from a practical standpoint. It's all well and good to say Phu Quoc has the best fish sauce, but how feasible and accessible is it for most people? So that's why I said I mostly cook with Squid brand, just anchovies and salt, and cheap and sold even at American grocery stores. But, as I pointed out, Viet Huong isn't a Thai company. It's American-based. As for why so many fish sauce comes from Thailand, I think it's a combo of them moving in on the market when Vietnam was under embargo, and because Vietnam's quality isn't standardized yet. I know I have various products from Vietnam that have gone bad very quickly, and others that did fine, so no or little quality control. But, if you've got fish sauce that's really from Phu Quoc, I'd love to try it.